Crying, Tinking | Knit Like You Mean It. A few years ago, I went to upstate New York for a month-long writers’ conference. So many good things had converged to make it possible for me to attend the conference – a fellowship, time off from work, a small amount of discretionary cash in my bank account – that I felt that the universe was converging around me and that I was somehow Meant To Go. Hurrah for me! Etc. I cried in the dining hall, in the snack bar, in my room, at the gelato place in town, over savory crepes near the dorm where I was staying, in my car, between workshops, late at night, early in the morning, around noontime, until I was finished. Somehow I’d calm down enough to go to classes and readings, so I wasn’t completely off the wall. And I felt a little braver about emotions after that: I’d cried all over that small town, and hadn’t been sent to a mental institution or broken into a million pieces. I’ll probably have to start another list this year. For the second time in two days I have cried in public. Today it was watching “Mamma Mia” at the AMC Hoffman. What a cheeseball I am! How humiliating! Why couldn’t it have been at “The Visitor” like one friend recently? Or at home alone? On the other hand, there was lots of singing and dancing to cheer me up. Well, anyway, the universe has subtle and not-so-subtle ways of keeping me right-sized. 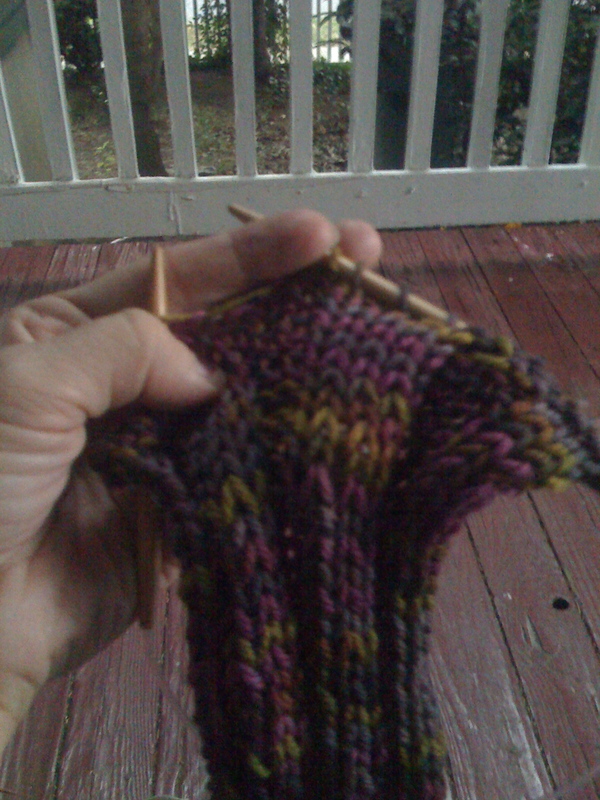 I got home and found that I had made some errors while knitting in the movies, and that Andy had gone out on some Andy-Pampering-Weekend errand, and that I had left my keys in the house. Then the thunderstorm arrived. I sat on the porch and tinked several rows and cowered at the lightning. Andy got home and all was better (and drier). Work on the CPH continues: I have finished the armhole bind-offs and decreases, and I’m approaching the shoulder bind-offs. 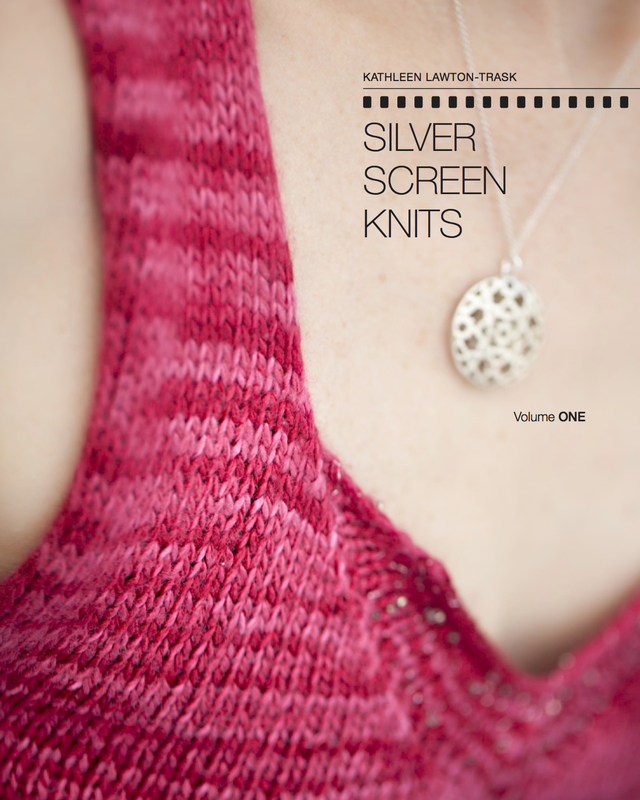 I am going to try the wrapped stitches and three-needle bind-off for the shoulders; I’m eager to see how it works out (and I really don’t want this sweater to be any bulkier than it has to be). We are approaching a critical point for my yarn ADD: once the back is finished and I’ve started the front, I usually yearn for greener pastures. I am committed to finishing a sweater with this blighted yarn if it’s the last thing I do, but did consider frogging my CPH in honor of a Danielle Sweater (no rav lnk – weird) from the Yarn Girls’ Guide to Beyond the Basics (rav lnk). 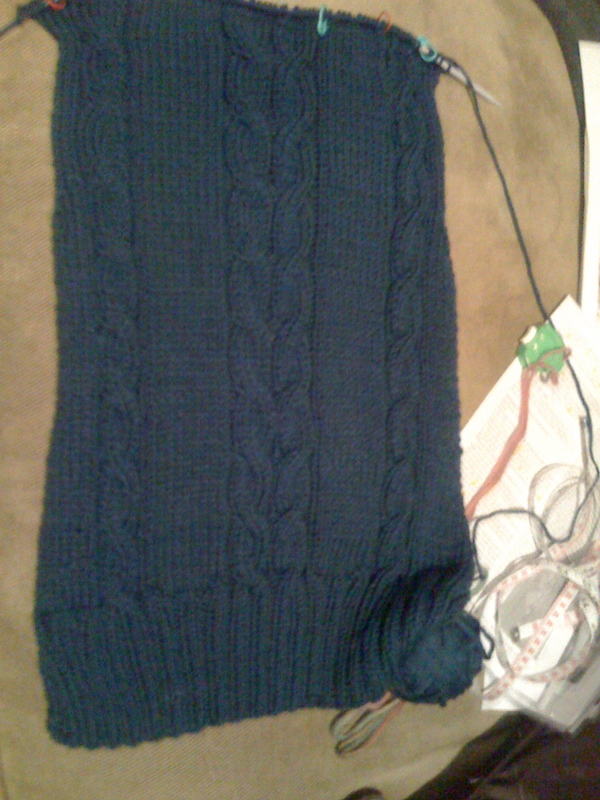 interesting..I hadn’t thought about wrapping and then using a three needle bind off to join the shoulders…Sorta too late for that now, since I am already on the left side of the sweater. But I did get some wicked shaping and a cool cable modification. I know exactly what you are talking about. Can’t explain it (I was bawling @ Mamma Mia last week but didn’t tell anyone about it until now) but I totally understand it. Have not casted on for CPH yet because I must decide which WIPs I am going to keep and continue — I have 18 currently — and I haven’t made sweater since last year. Hope all is well and hugs to the hubby & kitty! Wow! Am so glad I’m not the only one to cry at Mamma Mia. What got me was the mother-daughter relationship (surprise, surprise) and the Greek setting – my mother and I spent two weeks together in Greece in 2000. Overall, I thought Mamma Mia was a pretty good adaptation of the musical, which I saw in London when it first came out. A guilty pleasure.